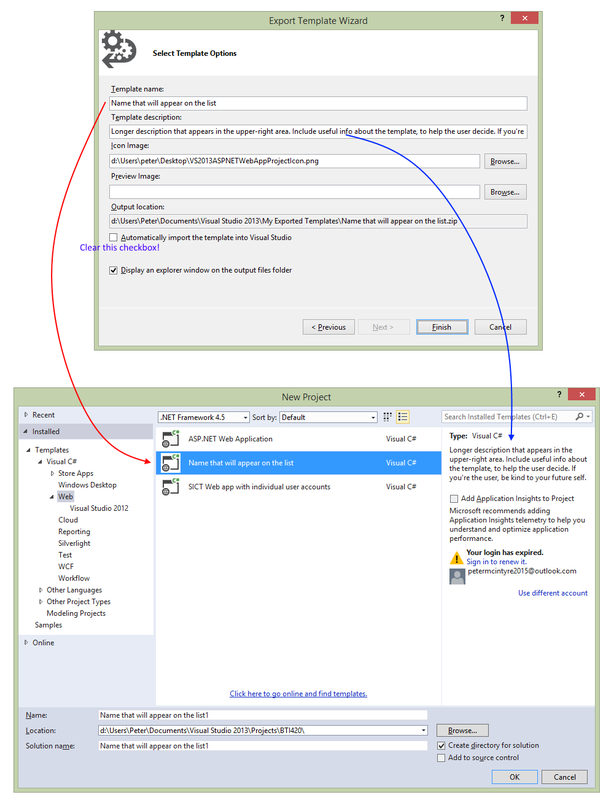 How to create and use a customized Visual Studio 2013 project template. Next, you create a file for your design model classes. And the data manager class. And many others. Then, on the Visual Studio 2013 “FILE” menu, choose “Export Template” to start the wizard. A File Explorer window will open, showing the contents of your “My Exported Templates” folder. Select and copy the zip file that matches the template you just exported. After creating the new project, build/compile. Then you can run/load the project. 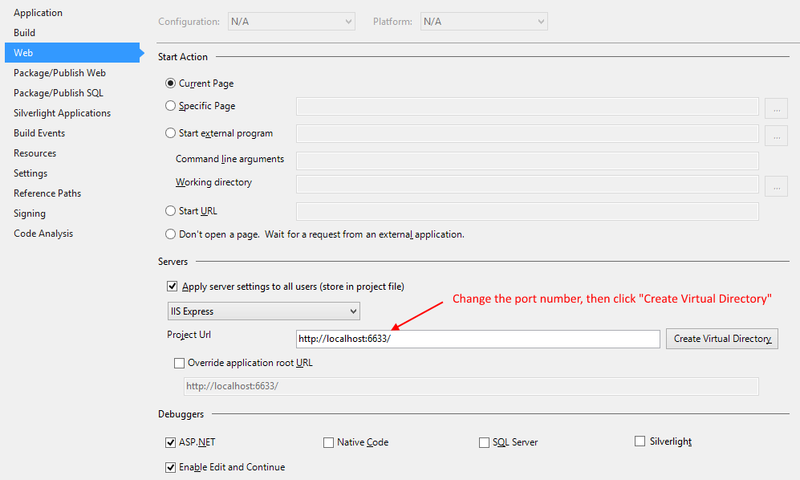 If an error dialog appears, then edit the project properties again, and change the port number again.